Bill Clinton once declared, "The era of big government is over." Both Republicans and Democrats applauded. So says a study by economist Gary Shilling. Shilling, a Springfield, N.J., consultant and forecaster, says the portion of Americans feeding substantially at the public trough stands at 52.6 percent. In 2000, it was 49.4. It seems unbelievable that in 1950, only 28.3 percent of Americans lived off the taxpayers. [http://www.csmonitor.com/2007/0416/p01s04-usec.html]. Shilling projects 60 percent by 2040. Wasn't the welfare system reformed in 1996? On the surface, yes. Cash payments are available only for a limited time and recipients are expected to work eventually. Millions of women once on welfare have gone to work. But the idea that the taxpayer has gotten a break or that overall dependency has decreased is a myth. As the AP reported [http://washtimes.com/national/20070225-114204-8761r.htm]: "The welfare state is bigger than ever despite a decade of policies designed to wean poor people from public aid. The number of families receiving cash benefits from welfare has plummeted since the government imposed time limits on the payments a decade ago. But other programs for the poor — including Medicaid, food stamps and disability benefits — are bursting with new enrollees. The result ... is that nearly one in six persons rely on some form of public assistance, a larger share than at any time since the government started measuring two decades ago." Yet this doesn't deter our champions of big government. Even the coming Social Security and Medicare train wrecks don't faze them [http://www.washingtonpost.com/wp-dyn/content/article/2007/04/23/AR2007042301963.html]. So don't expect government to stop growing. The Washington Post reports ominously: "In the four months since the midterm elections, the number of new lobbyist registrations has nearly doubled to 2,232 from 1,222 in the comparable period a year earlier." 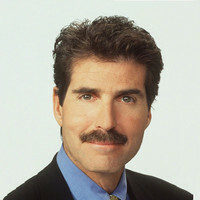 John Stossel is co-anchor of ABC News' "20/20" and the author of "Myth, Lies, and Downright Stupidity: Get Out the Shovel — Why Everything You Know is Wrong," which is now available in paperback. To find out more about John Stossel and read features by other Creators Syndicate writers and cartoonists, visit the Creators Syndicate Web page at www.creators.com.